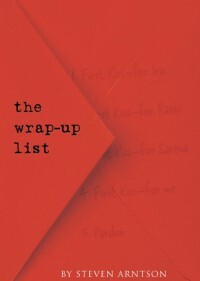 The Wrap-Up List is a cute story that is easy to recommend to younger YA readers. It dances on the surface of the idea of knowing when you will die and that it will be tomorrow, but there's no real depth explored here. Gabriela, the MC, doesn't believe that she will die. She knows she will get her "pardon," a convenient way out of death (not present in The Deathday Letter), and it's no surprise at the end when she does and the whole story ends happily, with a lot of kisses and a silly dance party.